Lichterman, Joseph. "Snapchat reportedly has more daily users than Twitter. What does that mean for news?." Nieman Journalism Lab. Nieman Foundation for Journalism at Harvard, 2 Jun. 2016. Web. 19 Apr. 2019. Lichterman, Joseph. "Snapchat reportedly has more daily users than Twitter. What does that mean for news?." Nieman Journalism Lab. Last modified June 2, 2016. 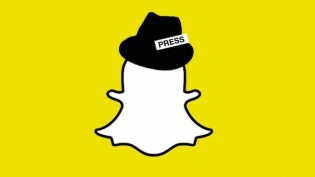 Accessed April 19, 2019. https://www.niemanlab.org/2016/06/snapchat-reportedly-has-more-daily-users-than-twitter-what-does-that-mean-for-news/.